The computer is experiencing a software issue, such as system crash, virus attack. The hard drive on the computer is physically damaged or worn out. No matter how you lost files on your PC, there are several ways that you can try to get back the lost files. Today we will discuss hard drive data recovery of Windows. We will also mention four trusted ways to get back your accidentally deleted files. As we all know, Windows has Recycle Bin for deleted data in case that we may need the deleted data back one day. So when you mistakenly delete a file or couldn’t find a file for no reason, always check your Recycle Bin first. If you are lucky, you can quickly get back the files by restoring it from Recycle Bin. Even though you have no luck with the Recycle Bin, don’t get frustrated. 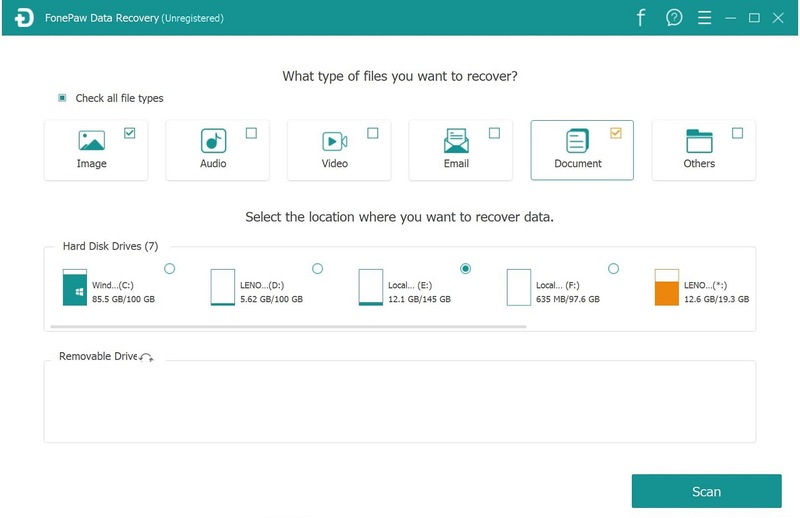 There are other ways you can try to recover the deleted files. Windows realizes the importance of data protection and has added a built-in data backup & restore program for Windows system. Maybe you have used Windows’ backup feature at some point. If so, you can restore the lost file from the backup. Go to Control Panel > System and Maintenance > Backup and Restore and if there is an available backup, you can choose to Restore my files. If Windows shows “Windows could not find a backup for this computer”, then, unfortunately, you never make a backup of your computer before. 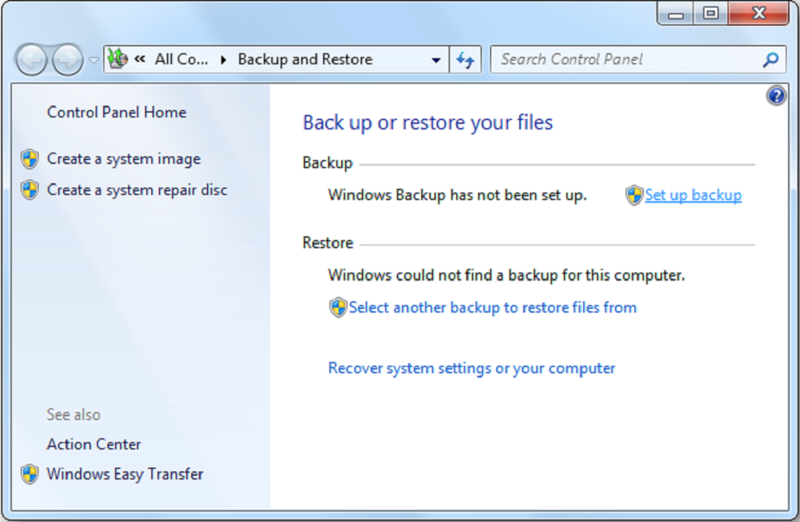 If you don’t have a backup, I will suggest that you should recover the files with a data recovery program for Windows. When a file is deleted from Windows PC, it is not immediately removed from the hard drive but is just hidden, and its space is marked as readable by Windows. If we could find the file and recover it before new data write into the space it occupies, the data can be back. However, an ordinary user without technical knowledge like you and me couldn’t complete such a task. That’s why we need a professional data recovery program like FonePaw Data Recovery. FonePaw Data Recovery is a desktop program for Windows to recover lost files from hard drive, SD card, external hard drive, etc. 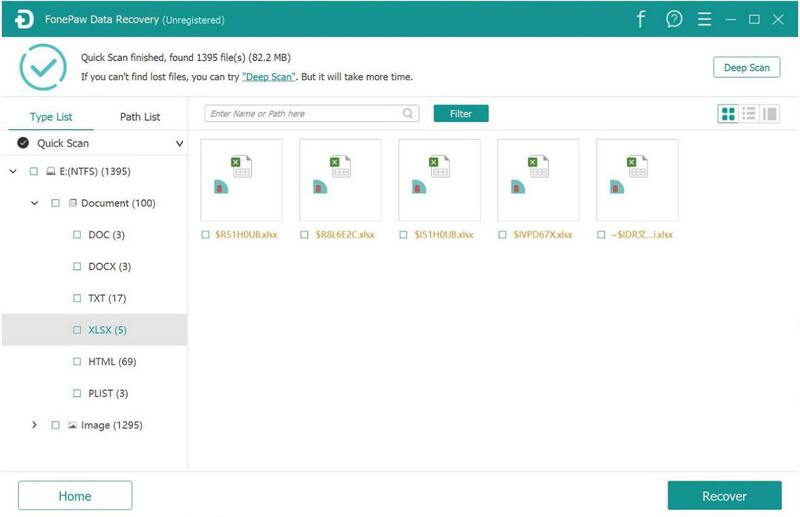 The application can retrieve photos, documents, audio, videos, emails that are deleted or missing from the computer due to various errors. I especially like how easy-to-use this program is. In my test, I deleted 10 photos, 5 Word files and 5 Excel files from D drive and attempted to recover all of them with the FonePaw program in very simple steps: open the program, select the type of I want to recover (in my case, it is photos and documents), choose D drive and click Scan. The program began to scan all files out of my D drive. After a few minutes, the scanning stopped, and I can find my deleted photos in Image category, the deleted Word and Excel files in Documents category. It’s incredibly quick and simple. I also noticed that there is a Deep Scan button. And by clicking the button, more files are scanned out, including those I have forgotten about and deleted months ago. But since I was using the free trial version of the program, I cannot recover and save the deleted photos and documents on my computer. To unlock its full function, I need to purchase the registered version, which is $39.95. Considering how easy it is to recover data with the program, I think the price is reasonable. But before you make a purchase, I will suggest that you should first use the free trial to see if your lost files can be found. Once you verify that the program can find out what you need, you may go ahead to get the paid version. Once you realize a file is missing, try to use your computer as less as possible to protect the file from being overwritten by new data. Then apply data recovery with a professional program immediately. Before deleting a file, especially permanently removing it with SHIFT + DELETE, think twice and make sure that you don’t need it anymore. Set up lock screen passcode for your computer so that other person like your 5-year-old won’t be able to access your computer and mess it up.